“Stonewall”, directed by Roland Emmerich, noted for big films, and written by Jon Robin Baitz, seems designed to educate the general public on the history of modern gay rights, centered on the Stonewall riots of 1969. The film starts with some exaggerated facts. It says federal law prohibited the government from hiring homosexuals (compare to the military ban later). That’s not literally true, but an Eisenhower executive order in 1953 and various other administrative actions had that effect. It also says it was illegal for homosexuals to congregate in places that served alcohol. Some states did have laws like that. So the tendency was for organized crime to control the gay bars. 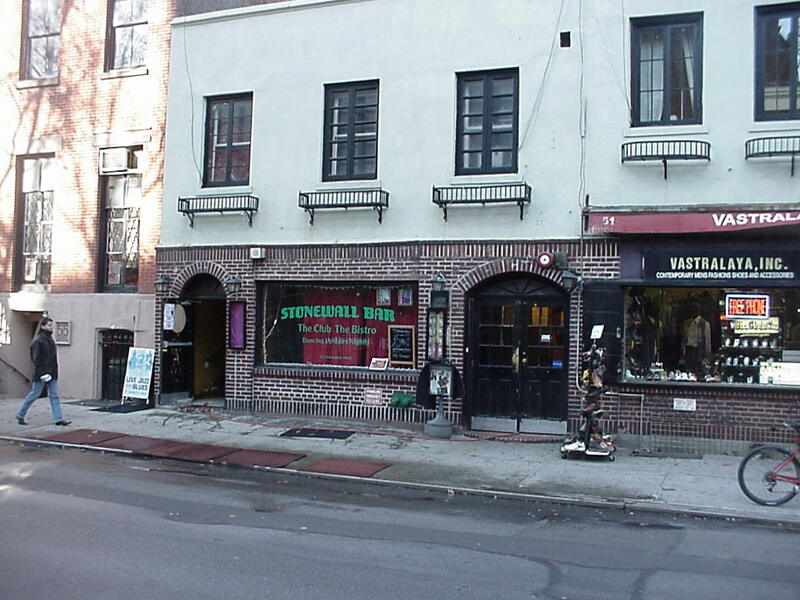 In New York City, the term “mafia bar” was common. The film also seems like a remake of a 1995 film (Strand) by the same name, by Nigel Finch, where Frederick Weller played the “masculine gay” hero. The new film is more ambiguous when it get so the actual people. The hero is Jeremy Winters (played by British actor Jeremy Irvine), raised by a fundamentalist family in Kansas and having won a scholarship to Columbia. But when he gets seen by other boys in a sexual encounter in a car with a chum, he is essentially kicked out of home and school and goes to New York anyway. There is a line where one of the “gutter trash” in the village confronts Danny with “smart people think only of themselves”. Indeed, Danny, while ambitious enough to work to win back his scholarship, is conservative in most of his own values, he already has street smarts and he quickly learns how to connect with people (including pseudo drag queens) much less intact than him, because they are much less fortunate. A new moral universe evolves, parallel to the old one. At times, Danny is shown as almost like a Christ figure. He is stable, kind and takes care of people. But he slowly gets drawn into the corruption as he survives as an unusually clean cut and attractive hustler (as well as working odd jobs). He has a boyfriend (Jonny Beauchamp) and, uncharacteristically, almost leaves to go back to Kansas when jilted. But then everything comes to a head that night in June. 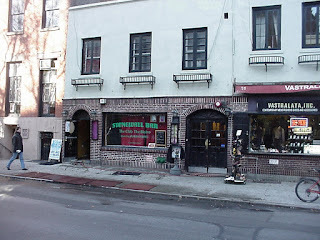 It is Danny who throws the first rock at the Stonewall. It’s almost like Jesus driving out the moneychangers. At this point, it’s not too much of a spoiler to say that Danny will turn out well, and not make a supreme sacrifice. He is still human. I could compare Danny’s narrative with my own (the William and Mary expulsion) and say that Danny is much mhttp://www.thestonewallmovie.com/ore obvious as a “hero”. My own story is even more subtle, but the parallels are clear. One important fact is that my “second coming” in the New York area came in 1973, when things had already gotten much better. I never saw the worst of the scene in New York, like in the 1960s when many gay bars were closed to “clean up the City” for the World’s Fair. Many historical figures are presented, including Frank Kameny (Arthur Holden), policeman Seymour Pine (Matt Craven) and Ed Murphy (Ron Pearlman). The early history of Mattachine, and of Kameny's phrase "Gay is good" is shown. One can say, it’s easy to understand why white people resisted the Civil Rights movement in the South, but it’s far murkier why people behave in such an irrational and circular manner with respect to homosexuality – even allowing for religion. Part of the issue is that in earlier times (and in many parts of the world today) men are expected to bond to protect women and children, so sexual tensions get in the way (the whole issue for gays in the military as debated in the 1990s). A more comprehensive view says that life is inherently unequal, but requiring everyone to have their own skin in the heterosexual family game makes marriage more appealing to many people. Important, too, is the idea that having children is important to immortality, an idea not necessarily supported by science or even mainstream religion now. It’s interesting that Danny’s farm boyfriend gets married and has kids, as Danny finds out when he goes back to Kansas for a reunion visit (reminding me of a comparable scene at the end of “Splendor in the Grass” (1961)). The official site is here (Roadside Attractions, without Lionsgate). The DGC film was largely shot in Montreal. I saw the film this afternoon at Regal Ballston Common in a small auditorium. Just three in the audience. The sound was not particularly good.